There is nothing unusual about buying a young child formal attire, and it is a necessary purchase more often than a new parent might think. 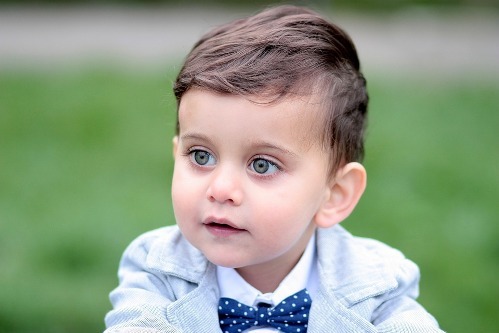 Religious events, birthdays, weddings, and parties, are just a few of the situations in which you might want your child to look his or her best. Therefore, it is not so much about whether or not you should buy formal attire for your child but a matter of how and when. Making the right decisions early on should help you to cut down on costs, without sacrificing quality, and keep your toddler looking his best with minimal effort. Red Hill formal wear for kids is an example of quality options designed to handle even the most active of children. As much as you might want your child to sit still during the event, it is in their nature to jump, twist, wiggle, and otherwise put a lot of stress on their clothing. When choosing a boy’s formal attire, base your selection on the functionality of the material as much as the look of it. Until they are seven years or older, a boy may find it impossible not to get themselves into trouble during their time in the formal clothing, and you must accommodate for this whenever you can. Your son, particularly if he is yet very young, may need to have his nappy changed, and you should consider options that are easily taken on and off to accommodate this need. Until a child is completely trained on how to use the toilet, you should remember to choose fabrics that can take an accident without being ruined. The right clothing companies understand that children are messy in a wide array of ways, and they take this into account when fabricating their clothing options. In this way, you can cut down on costs by reusing clothing your son has yet to grow too large to wear. Choose pants with an elastic waistband when possible, or that are easily unzipped when necessary. Zippers and snap buttons are both great options in regards to these types of needs. Children learn about the world around them by putting much of it in their mouth, whether it is edible or not. In fact, it is not uncommon for you to find a coin or two in your son’s mouth during the course of his childhood. To reduce choking hazards, choose formal wear without buttons, but it is important to note that there are options with buttons specifically designed with toddlers and young children in mind. Be sure this is exactly what you bought before you put the clothing on your son the first time. Children love to have a role during the decision process, and it is a great idea to allow them to make some of the choices in regards to what they wear. One trick many parents utilise is to find several outfits, or pieces of outfits, they want for their child and then presenting them to the child for final say in the matter. Your son will be given the chance to make a decision for himself, helping him to feel independent and important, and you get to see an outfit you enjoy on him, regardless of his choice.